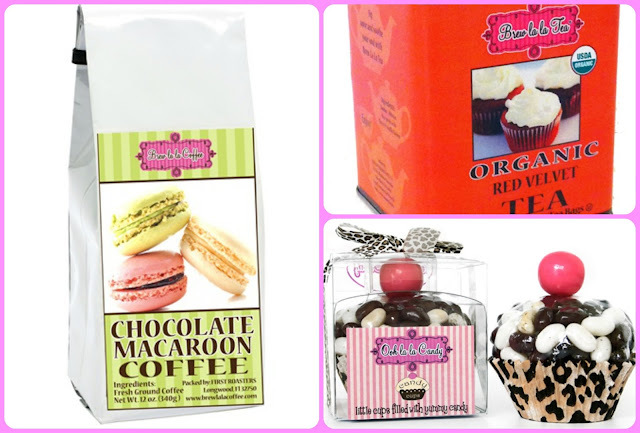 Chocolate Macaroon Coffee, Red Velvet Tea and Chocolate Cupcake Giveaway with Brew La La Coffee !! I am really pleased to tell you about this giveaway! You know I always love to showcase new companies, especially those with products made in the USA, and this is no exception. The company has it's main office in Mamaroneck, NY as well as West 27th Street in New York City. 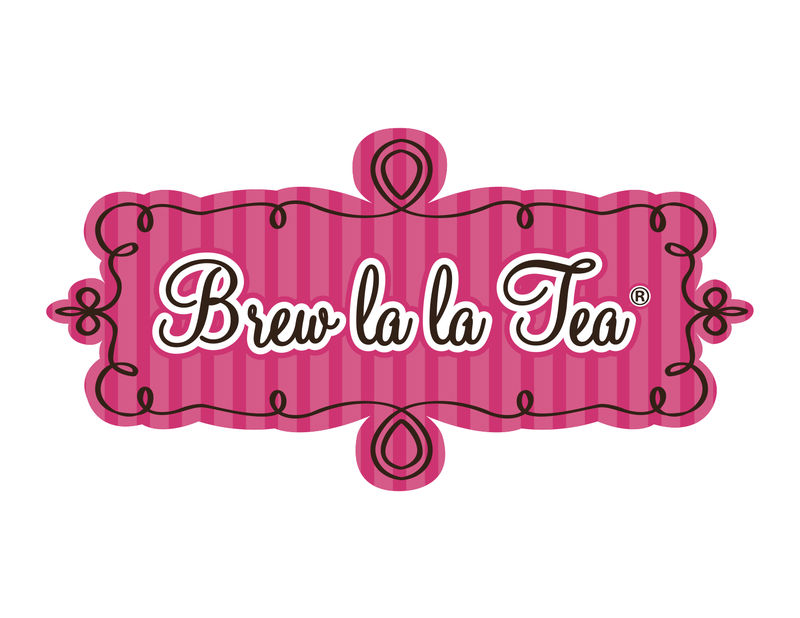 Ooh la la Candy, Brew la la Coffee and Brew la la Tea are the brainchild of the mother/daughter team Sara Stevens and Rebecca Zorowitz. I am sad to say Sara is no longer with us, but her daughter has continued this fabulous idea of stylish, fun products at affordable prices. I must say to combine coffee, tea and chocolate is a great idea! These wonderful Candy Cupcakes are so sweet for gift giving! Made with 3.2 oz. 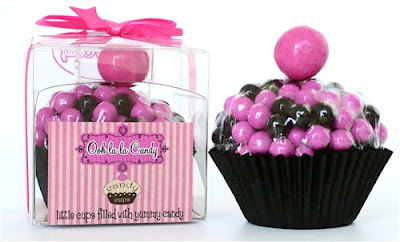 pink and black coated chocolate candy topped with a gumball, in pink, of course! What a great idea to give with a birthday card to that special friend, the packaging with the little bow is already for gift giving. Brew la la Coffee is made from 100% Arabica beans and you can tell the difference. As you know, I am a huge coffee drinker, and am always looking for special flavors. Some of the exceptional varieties are: Smores, Vanilla Buttercream Cupcake, Creme Brulee, Chocolate Fudge, Chocolate Macaroon, Apple Pie, Chocolate Coconut. 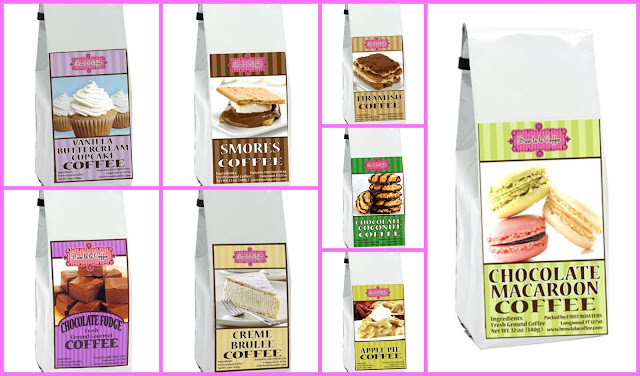 They also have for those who do not like flavors, French Roast and Kona Blend are available. How fun are these ? And the great thing to is they are no calories to enjoy some fun tastes!! 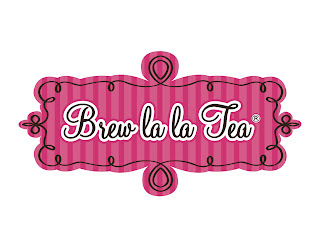 The Brew la la Tea is very exciting as well. All organic, flavors such as Red Velvet, Blueberry Green Tea, Ginger Peach Green Tea, Chocolate Mint, Acai Green Tea, Earl Grey, English Breakfast. A very nice assortment of teas. I love the special flavors available, and they have 2 separate bags vacuum sealed in the tin, so you have half that remains fresh. Usually when you open the tin, all the tea is open already. I thought it was a great touch by the company. The coffee which I tried was the Red Velvet, as well as the tea, and Tiramisu coffee which were all pretty amazing. The coffee was not too strong, had a lovely flavor, and was great iced too. The coffee is roasted fresh and packed her in the USA. The tea was really tasty, nice with or without milk added, and is imported from Sri Lanka. The tea is also kosher certified. I hope that all the coffee and tea lovers enter this giveaway as it is a really lovely assortment. I consider giveaways a great way for you to try a new product, something you never heard of, or maybe would not buy on your own. Details: This giveaway is open to US AND CANADA Residents and will remain open until September 23rd at 11:59 p.m. EST. Any comments left after this time will not be counted. The winner will be selected randomly and will be notified via email and will have 48 hours to claim their prize. That coffee sounds wonderful, Rosemary, but let me tell you...that cupcake is calling my name for sure. OMGoodness, it looks so wonderfully sinful. Hello Rosemary, I would love to try each one. I love drinking coffee and tea too. This is a delicious giveaway. Rosemary, this giveaway is truly ah-mazing! I'm IN! The flavors of that coffee. OMG'd the CANDY cupcake! Red Velvet TEA! I've never had. Ok...here it goes! Thanks for the chance. These all sounds amazing! I like Ooh La La Candy on FB! These items look so delicious! I follow your blog via GFC as shala_darkstone. I "LIKE" OOH LA LA CANDY ON FACEBOOK (FB name: Madeline Brubaker). 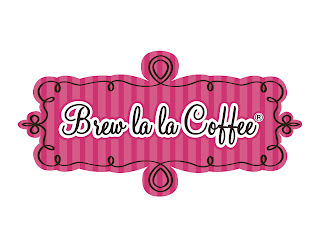 I FOLLOW BREW LA LA COFFEE ON TWITTER (@shala_darkstone). 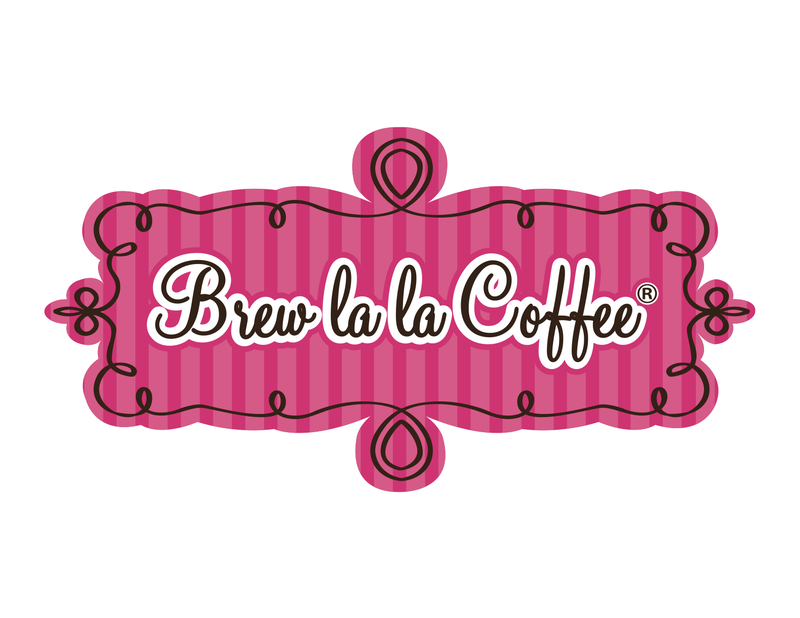 I FOLLOW BREW LA LA COFFEE ON INSTAGRAM (shala6).